Yesterday, we spotted the cover for Scribner’s upcoming republication of The Great Gatsby, in concert with the film adaptation’s May release. The Great Gatsby is one of those books with a cover so iconic that any change to it offends our delicate sensibilities, but even with that self-awareness, the image got us thinking about other movie (and TV) tie-in editions of books, and how truly awful — not to mention unfaithful to the original text — they can be. That said, there’s no denying that movie tie-in editions sell books, so we guess there’s a light at the end of the tunnel. We just wish there were another way. Now this isn’t the worst movie tie-in we’ve ever seen — at least it sort of references Gatsby’s glitz and Coralie Bickford-Smith’s Fitzgerald cover series — but it still looks rather cheap, and dare we say, deco-steampunk-y. Not quite the right direction. These two are polar opposites: lo-fi, classic, and beautiful vs. glowing with digital augmentation. Guess which we prefer (and which we think reflects the tone of the book)? Ursula K. Le Guin’s classic has seen a lot of covers over the years, most of them weird and beautiful. This one, which advertises the miniseries that Le Guin hated, looks like the box of a bad video game. Sigh. Yikes. Here’s George Clooney making out on the cover of Stanislaw Lem’s incredibly cerebral 1961 Polish science fiction novel. Of the film, the author wrote, “I only wanted to create a vision of a human encounter with something that certainly exists, in a mighty manner perhaps, but cannot be reduced to human concepts, ideas or images. This is why the book was entitled Solaris and not Love in Outer Space. This writer admits that she has never read the Sookie Stackhouse novels, nor seen True Blood, but to a layman this book’s vibe just went from cheeky, whimsical fantasy to boring, exploitative YA. We think the original cover gets the “ensemble piece” message across much more gracefully. It’s like the book in that way. We get that the desaturated film still is supposed to look bleak, but nothing’s bleaker — or truer to the book — than that original black. H.G. Wells’s classic has seen many covers over the ages, and not all of them good. Still, we don’t think it deserves to look as cheap and dated as it does here (in 2002!). Why does the movie tie-in edition make this book look like a fluffy piece of chick lit instead of the weird, harrowing, dystopic masterpiece it truly is? This cover isn’t even a tie-in to a film adaptation of Wuthering Heights — it’s something much more horrible: a rather tasteless tie-in to the entire Twilight franchise. We may be in the minority here, but nothing would make us less likely to pick up a book than a sticker calling it “Bella & Edward’s Favorite Book.” Yikes. We think the Penguin Classics cover has the focus right. Get off our books, Kiera Knightley. Okay, so the first edition of Asimov’s classic kind of has an Iron Giant thing going on (although remember which came first), but we still much prefer it to the completely trashy-looking Will Smith version. That’s no way to treat a giant of sci-fi literature. The movie tie-in edition of this novel makes it look like a love story, which it isn’t (mark the directionals of the figures on each cover). It’s sort of the opposite. Also, doesn’t the copy look like it’s telling us the book is starring Leonardo DiCaprio and Kate Winslet? 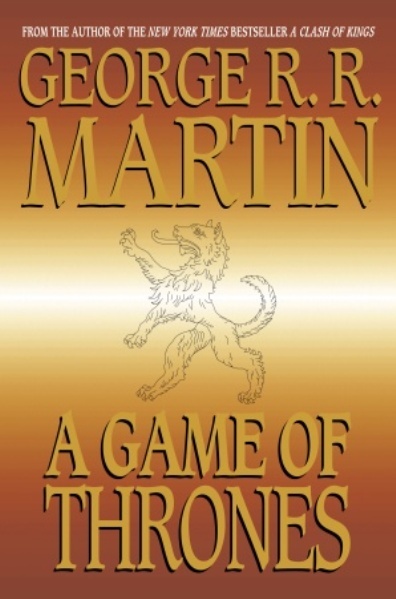 There’s nothing all that special about the original cover for the first book in Martin’s A Song of Ice and Fire series (though the UK cover is much nicer), but that still doesn’t mean we want our books turned into posters for the HBO show. We’d much rather have the simple iconography. The first edition cover is so upsetting, and so iconic. The film tie-in version is so pulpy, and so ’80s.